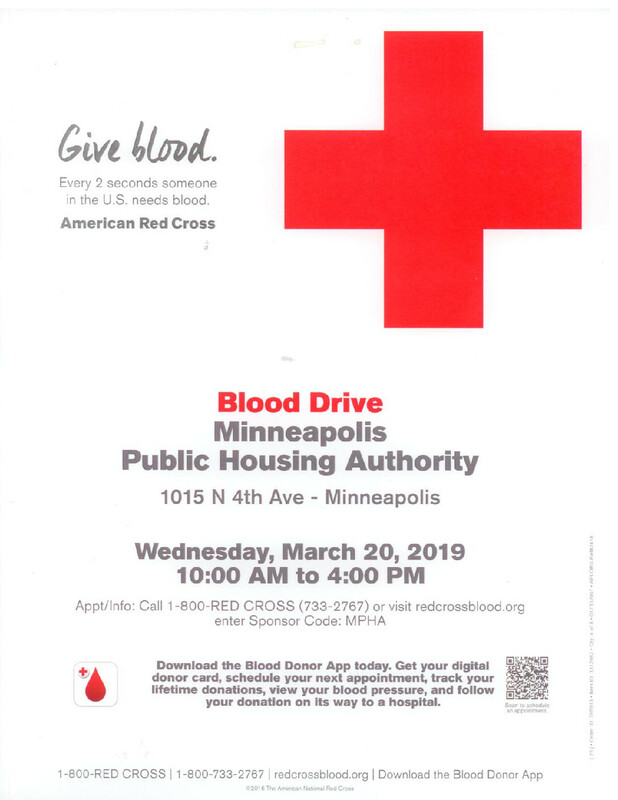 Give blood at the American Red Cross Blood Drive for the Minneapolis Public Housing Authority. Appointment/Info: Call 1-800-RED CROSS(733-2767) or visit redcrossblood.org and enter Sponsor Code: MPHA. Give blood at the American Red Cross Blood Drive for the Minneapolis Public Housing Authority. Appointment/Info: Call 1-800-RED CROSS(733-2767) or visit redcrossblood.org and enter Sponsor Code: MPHA.